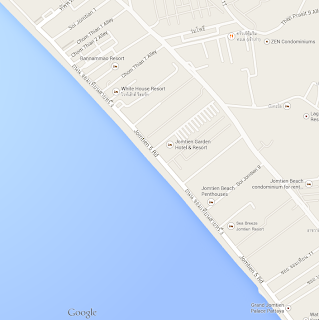 Jomtien Beach (and Jomtien Beach Road) runs roughly from North to South, though if you like a more accurate picture, the beach runs on a a slight diagonal stretching North West to South East (or vice versa). It's about 3 Kilometres long and is a classic golden sandy beach with waters that have relatively safe currents. Safety swimming areas are provided at regular intervals with buoys and ropes used to create large rectangular sections to provide protection for weak swimmers. 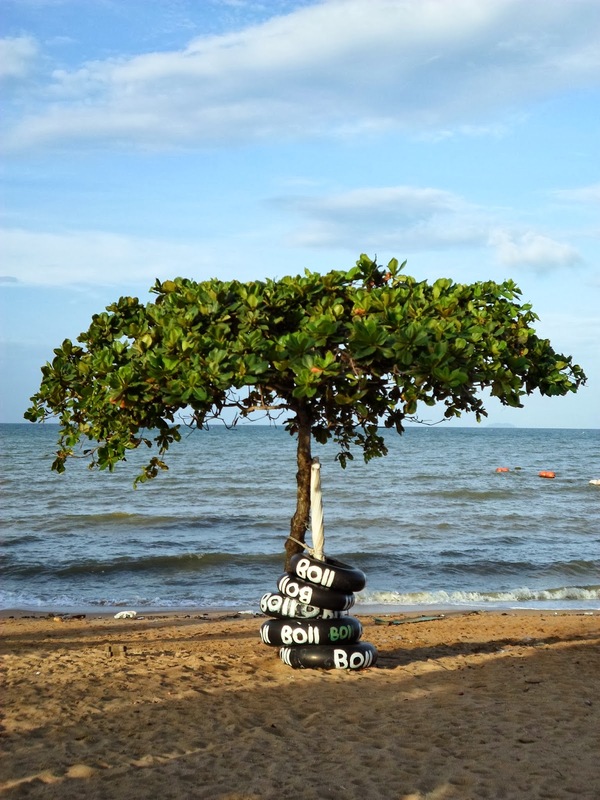 Roughly speaking Jomtien beach starts around Thap Phraya at the top and goes all the way to Chomtien (alternative spelling) soi 19 for all your short or long stay, living, swimming, beach activities, bars, shops and restaurant needs. 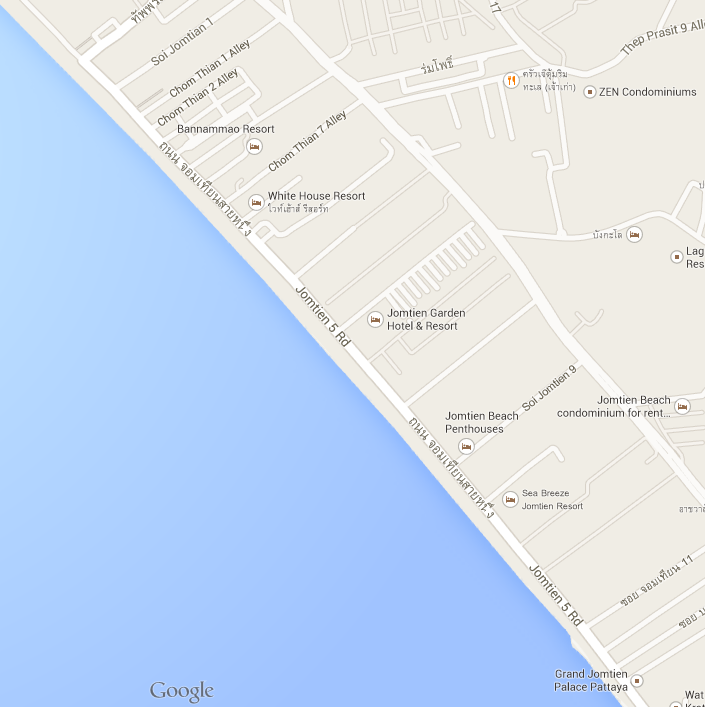 The North end of Jomtien beach is the busiest area as it is closest to Pattaya. The southern end is more quiet with increased local Thais and less Westerners present, though it still has good hotels and seafood restaurants available along with 7-Eleven or FamilyMart convenience stores. At the Northern end there are more bars to be found, including Thai girly bars and a solitary though quite enjoyable Go-Go Bar. Other bars can still be found along the way to the southern end of Jomtien beach road, although this diminishes into more regular bars and restaurants with a more distinct Thai clientèle at the very end. 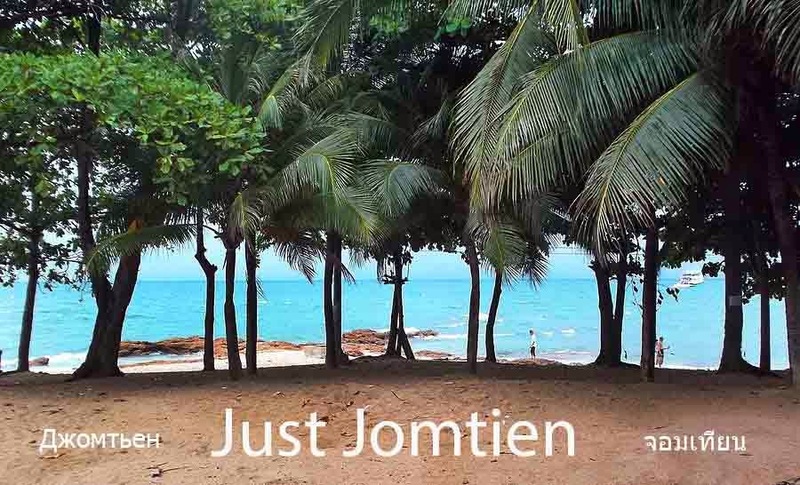 Jomtien beach is a growing favourite with Russian tourists. Some of the businesses are Russian or Ukrainian owned, and have Russian Cyrillic signs to communicate to their target market. The Russians are generally a pleasant and well mannered people, out to enjoy their yearly vacation like anyone else. There are many activities to do on Jomtien beach including Windsurfing, Kitesurfing (or Kiteboarding), Paragliding, Jet Skis and Parasailing. The beach is not always pristine if the tides, weather and winds are not in its favour, but generally speaking Jomtien beach is a reliable destination for swimming and beach activities In some ways, it's like a slightly shabby but charming Mediterranean beach town from the 70's. It has an energy all of its own that comes with being a bit more laid back and relaxing than the top beach destinations in Thailand. It feels like there's a connection between the locals and tourists that seems natural and harmonic, with small street vendors and plush hotels appreciating the business and not so pressuring for sales as more crowded Thai destinations often are.